A gravitational wave moment for the graph community in the W3C Workshop on Web Standardization for Graph Data. Gartner includes Graph as Trend #5 in its Top 10 Data and Analytics Technology Trend for 2019. And graphs continuing to make waves in the real world in every possible way. The graph community may have had a gravitational wave moment in March 2019 in Berlin. At the W3C Workshop on Web Standardization for Graph Data, a number of important things seem to have happenned: the property graph community taking the first steps towards standardization, the RDF community taking the first steps to resolve the long standing issue of reification, and both communities taking the first steps towards working with each other. AWS, Google, Neo4j, Oracle. These were just some of the vendors represented in the W3C workshop on web standardization for graph data, and what transcribed is bound to boost adoption of the hottest segment in data management: Graph. Graph analytics will grow in the next few years due to the need to ask complex questions across complex data, which is not always practical or even possible at scale using SQL queries. 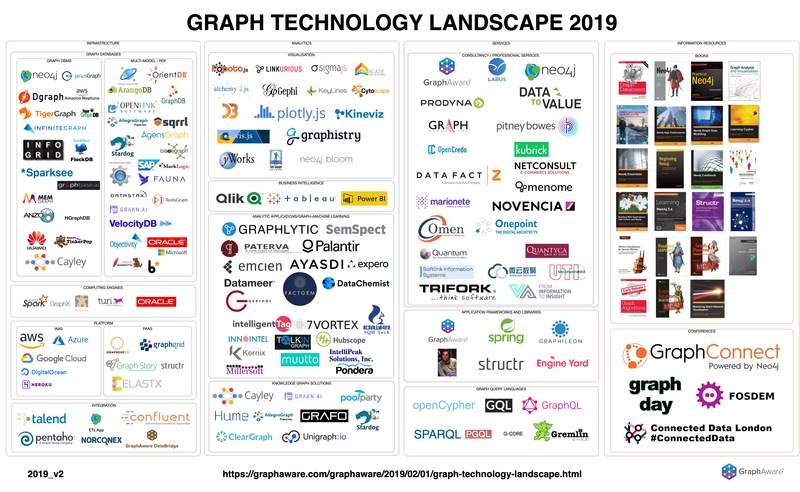 February saw a couple of graph landscape visuals make rounds. In chronological order, Janos Szendi-Varga from Graph Aware and Elise Devaux from Linkurious, twice, had their go at this. Note how densely populated all of these diagrams are. This speaks volumes on the proliferation of the graph ecosystem. This landscape is not something that a market research company created, this is something I created with passion and love, because I believe in graphs. It is it is highly probable that it is not perfect, and of course, we at GraphAware see this entire World through our “Neo4j expert” eyeglasses. All graph technology landscapes include Apache Tinkerpop, an open source graph computation framework, and Gremlin, its query language. Gremlin, as opposed to Cypher and SPARQL, is an imperative language (although as Marko Rodriguez pointed out, it can also be used declaratively). Using Gremlin imperatively means users are in control of how traversals are executed, in effect writing their own query plans. Here Ian Robinson with Kelvin Lawrence from AWS show how to use Gremlin query hints in AWS Neptune. Amazon Neptune supports W3C RDF graphs that can be queried using the SPARQL query language. It also supports Apache TinkerPop property graphs that can be queried using the Gremlin graph traversal and query language. In this post, we look at some new features available for Gremlin users. Specifically, we focus on the new query hints capability, which gives you greater control over how your queries are executed. It’s worth noting that although AWS was at the W3C Workshop on Web Standardization for Graph Data, the Tinkerpop community was under-represented. This, however, does not mean they are not interested in this effort. Marko Rodriguez, key member of this community, has stated in a private exchange that they are keeping a close eye on developments. For Rodriguez, however, it’s all about the bytecode, as the Gremlin virtual machine is language agnostic. It currently supports Gremlin, SPARQL, SQL, Cypher, and more, and all it takes is a mapping for it to support any other query language as well. Rodriguez, in fact, is advocating an extension of Tinkerpop from graph-specific to graph-agnostic for TinkerPop 4. My sabbatical gave me the opportunity to step away from TinkerPop/Gremlin codebase and reflect on the “data space” as a whole and to think through the types of problems I want to tackle next. I have come to a bit of a crossroads and I would like to get peoples’ feedback on my thoughts below. This approach, i.e. mapping queries to Gremlin and then executing them, was used in a benchmark that was recently published by Matteo Lissandrini et. al. The benchmark compares ArangoDB, BlazeGraph, Neo4j, OrientDB, Titan / JanusGraph, and Sparksee. Elaboration on the methodology and the use of Gremlin as part of it is also given here. Angus Addlesee from Wallscope also published an update on his benchmark comparing AnzoGraph, Blazegraph, GraphDB, Stardog and Virtuoso. Both are remarkable efforts, but each with its own limitations, as also discussed by the authors. We would also note that even the union of offerings tested is limited, while also including products that are not relevant for commercial use. Benchmarking is hard, and there’s a reason why there are entire projects and organizations such as the LDBC dedicated to this effort. In this work we provide a comprehensive study of the existing systems in order to understand their capabilities and limitations. We introduce a micro-benchmarking framework for the assessment of the functionalities of the existing systems and provide detailed insights on their performance. Manish Jain, Dgraph Founder & CEO, describes his journey in Google, the gotchas of graph databases, and what lead him to start Dgraph. 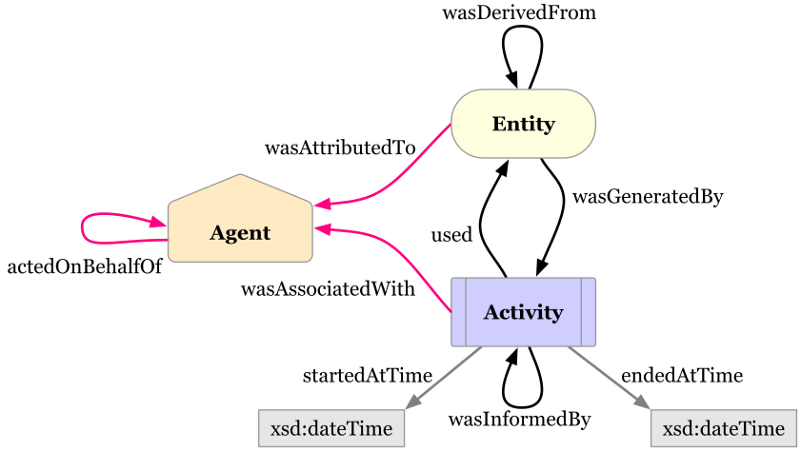 Dgraph is an open source graph database, available under the Apache 2.0 license. Dgraph does not currently have an enterprise edition, or a known release date for it. Word from Google has been limited to serving Knowledge Graph, but nothing has been said about the internal infrastructure which makes this happen. There are specialized systems in place at Google to serve the knowledge graph. Bill Slawski, Director of SEO Research at Go Fish Digital, dissects a patent recently granted to Google to show how Google extracts entities from web content to populate Knowledge Graphs. In a follow-up post, Slawski does the same for another Google patent, postulating on Entity Normalization. Google may use entity extractions, entity classes, entity properties, and association scores from pages to build knowledge graphs. Google can also discover datasets, and linked open data is a great way to publish data. Linked data are great for data consumers: data is discoverable, annotated, semantic, and of course linked. The incentive, and the process, however, are less clear for data publishers. The Linked Open Data cloud has been growing, but not as fast and wide as it could. David Thoumas from OpenDataSoft talks about how they are trying to change that situation and make data semantization accessible to all. They have put together a semantic chatbot that guides data producers through the process of describing their data with great accuracy, and linking it to other data around the world, in a matter of minutes. It’s Time To Make Your Data Speak For Itself! Today, we are very excited to introduce our semantic chatbot. 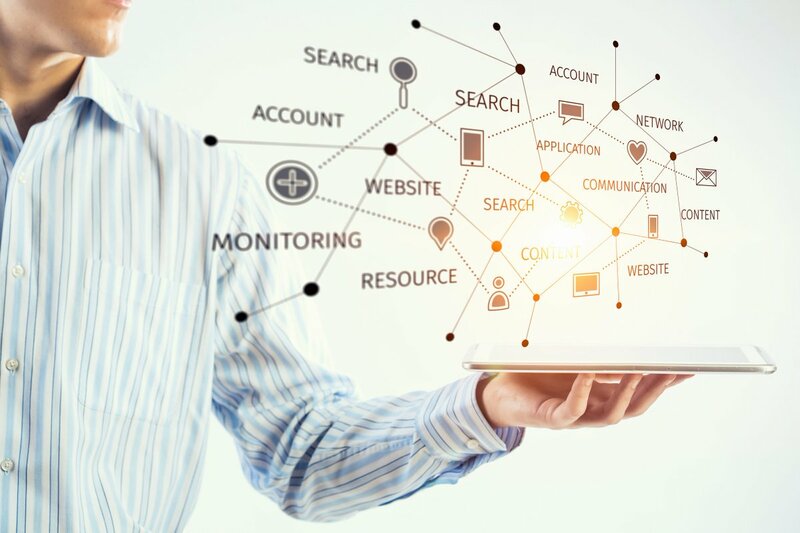 It is designed to help your data gain and maintain sense and reusabality by semantizing it, without even having to understand what data semantization is! JSON-LD has been pivotal for Linked Data, and it seems to be trending among RDF graph databases too. AllegroGraph just released version 6.5, adding support for JSON and JSON-LD. AllegroGraph joins Ontotext and Stardog which have recently also added support for JSON over MongoDB. This makes 3 RDF graph databases to move towards document in the last few months, in addition to multi-model graph databases that already support this. More Linked Data: here Ruben Verborgh from Ghent University / MIT / Inrupt talks about Solid at FOSDEM. Solid is the technology Sir Tim Berners-Lee is pioneering to re-orient the Web to its original vision. Linked Data is a key element of Solid, and Verborgh is a key contributor to Linked Data research and implementation. At the Web’s 30th anniversary, this is more relevant than ever. Solid is a new ecosystem for the Web, in which people store their own data instead of having to upload it to applications. This changes how we will build apps: we no longer have to harvest people’s data, but ask permission to access people’s data space. At Connected Data London, we care about the Web, and Linked Data. We are back, so mark the dates, and the venue: October 3 and 4, Hilton Doubletree Tower of London. Announcing first speakers, workshops and webinars for 2019, it’s more Connected, more Data, and more London than ever! And we got Meetups too, in London and in Berlin. * Ruben Verborgh from Ghent University/MIT/Inrupt will share his insights on new paradigms for Linked Data, and how to drive adoption and approachability. * Jono Alderson from Yoast will share how JSON-LD and schema.org help him acquire more customers, grow businesses, and prepare for the future. * David Gorena from Microsoft will show how AI and knowledge are infused in Microsoft Office. * Paco Nathan from Derwen/O’Reilly will explore the best ways to mix Data Science and Machine Learning with Knowledge Graphs. One of the most common application domains for graph is finance. Finding relations between transactions and users is something that can be useful for a number of reasons. Here, we have 2 examples of how this can be done for blockchain. Cesar Pantoja from TokenAnalyst shows how to load Bitcoin into Neo4j in one day, and Thomas Silkjær from 2K/DENMARK shows how to use graphs for pattern detection and fraud investigation in the XRP ledger. Finance is one of the domains in which versioning and provenance for graphs may be needed. Both are tricky topics, in graph as everywhere else. Here Stefan Bieliauskas from casecheck shows how to use the W3C PROV standard with Neo4j. On a related note, Tom Geudens shows how to add versioning to Neo4j models. Jan Zak and Luanne Misquitta from GraphAware show how graph algorithms and graph models are used in practice, for speaker identification and lean dependencies for project management respectively. Dependencies, like graphs, are everywhere. Achieving a goal is rarely possible in a vacuum and requires collaboration between individuals and/or processes. Eliminating dependencies completely is unrealistic- they are a part of life- but they can be streamlined to improve efficiency and reduce friction. Today I’d like to share an idea. It’s a very simple idea. It’s not fancy and it’s certainly not new. In fact, I’m sure many of you have thought about it already. But if you haven’t—and even if you have!—I hope you’ll take a few minutes to enjoy it with me. 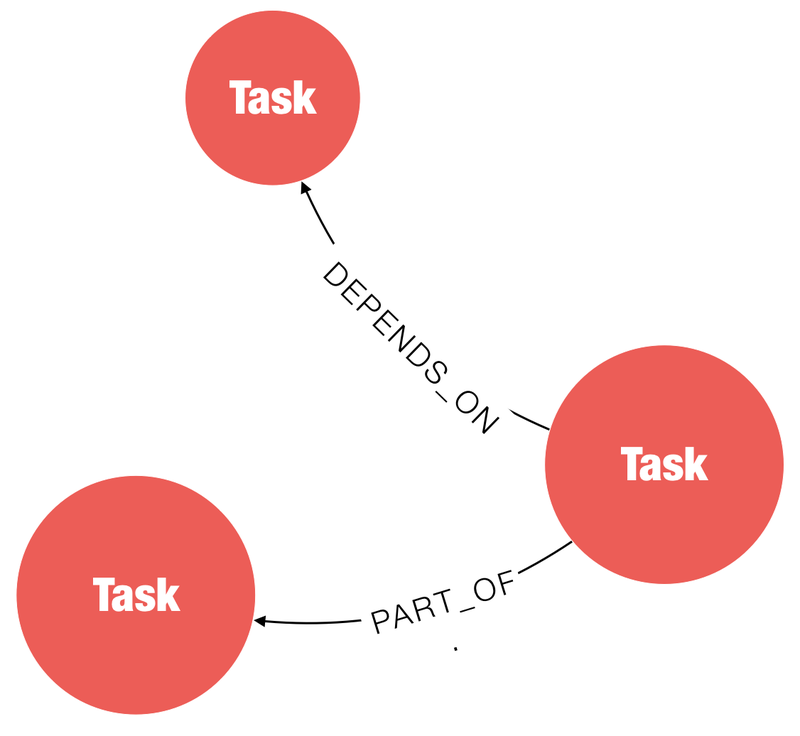 You are right for one thing, network graphs is one thing graph databases is another. And in my opinion vendors-engineers should understand that storage engines, data modeling, ACID/BASE, clustering, integration and eventually analytics should be managed independently. Moreover from the end-user (non technical user) point of view, results should be taken intuitively, self-serviced, with sub-second response in a GUI environment, no matter what API, query language you have underneath. Even the Velocity, Volume and other Vs of data should not be a concern for the end user. But the decisive factor that will judge a successful system is the value according to the business use case. And there is a great confusion here because different DBMS-vendors compete each other in many areas that common interest exist. On the other hand many companies end up with far too many database technologies to cover all their needs.